According to Budde.com, Cambodia mobile subscriber market peaked in 2015, however since then has seen penetration fall due to maturing market as well as market consolidation amongst the mobile operators and stricter implementation of laws regarding SIM card registration. Over the next five years to 2023 the market will move back to positive growth but at a relatively slow rate. Buying a Cambodia Virtual Number is easy. 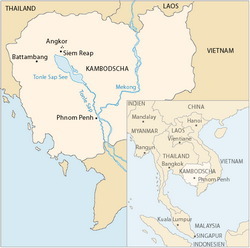 Use the drop down arrow and choose Cambodia in the top left country field. 2 Select the Cambodia type of number you want from the drop down list. 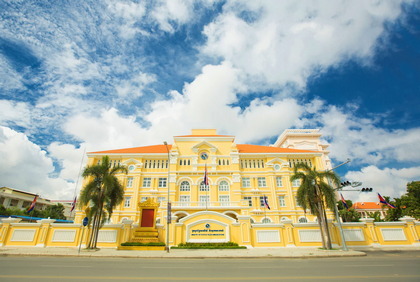 Geographic – Geographic numbers are associated with specific cities within the country such as Phnom Penh. Callers can reach these numbers from landlines, mobile phones, pay phones, fax transmissions, and other countries. Toll Free (Mobile Accessible) – Landlines, mobile phones, and fax transmissions can reach Toll Free Mobile Accessible Cambodia virtual numbers. Toll Free – Cambodia Toll Free numbers are accessible with Landlines, Mobile Phones and fax transmissions. If you are located in Finland, you can buy a Finland virtual number that forwards calls to Cambodia. Examples of the well known Finland cities and area codes are: Finland, Helsinki 9, Kokkola, 6, Espoo, 9, Turku, 2, Vantaa, 9, Tampere, 3 and Finland Toll-Free. If you are located in Spain, you can buy a Spain virtual number that forwards calls to Cambodia. Examples of the well known Spain cities and area codes are: Spain, toll free 0900, Madrid 91, Barcelona 90, Valencia 96, Seville 95 and 85. Cambodia Virtual Phone Number Enables Call Forwarding and SMS to Any Mobile, Landline or VoIP/SIP Globally. Own and Control a Cambodia Phone Number. Create a Cambodia Phone Presence without a Physical Location. 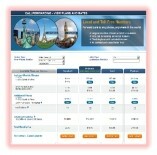 Choose from Cambodia Toll-Free or local geographic phone number. The number of fixed telephone lines in Cambodia is slowly declining from a small base as the mobile segment continues to expand and fixed broadband penetration remains very low and under-developed. Cambodia aims to launch its first communications satellite into orbit in 2021. In as much as Cambodia is striving to have an improved telecom sector, none of the Cambodia telephone companies permit call forwarding beyond the Cambodia border. This means if you own or want to own a Cambodia phone number and choose to have the Cambodia calls divert to another country, you cannot do so using the phone numbers supplied by Cambodia telephone companies. Our service provides a solution to the international call forwarding requirement from Cambodia and assists you to buy and own a Cambodia phone number with global call forwarding capabilities.